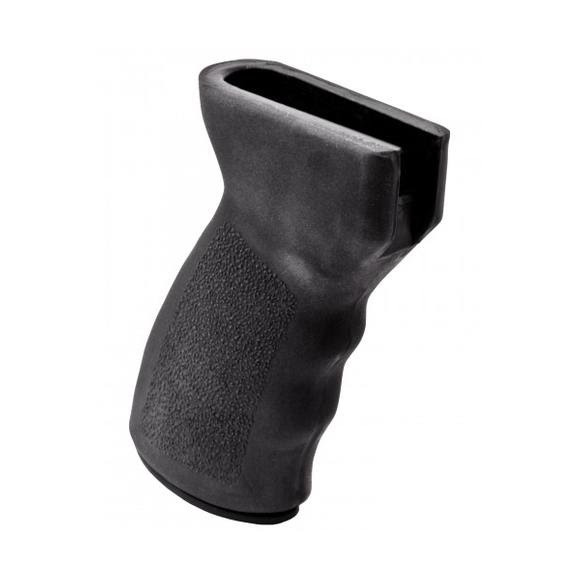 A superior textured finish and ergonomic design ensures enhanced weapon control with Ergo Grips' Ambidextrous AK Classic Grip. A superior textured finish and ergonomic design ensures enhanced weapon control with Ergo Grips &apos; Ambidextrous AK Classic Grip. Ambidextrous design with smooth finger grooves. Superior design and textured finishes for enhanced weapon control compared to smaller factory grips. Bottom storage compartment with tethered rubber plug. Installs with 6mm bots (included). Will not fit PAP rifles and pistols made by Zastava.